They say the heart of your home resides in the kitchen, and that’s especially true when you marry a sauce-making, Mozzarella-loving Italian. This man loves to cook, and I love to find any excuse to whip up a yummy dessert. 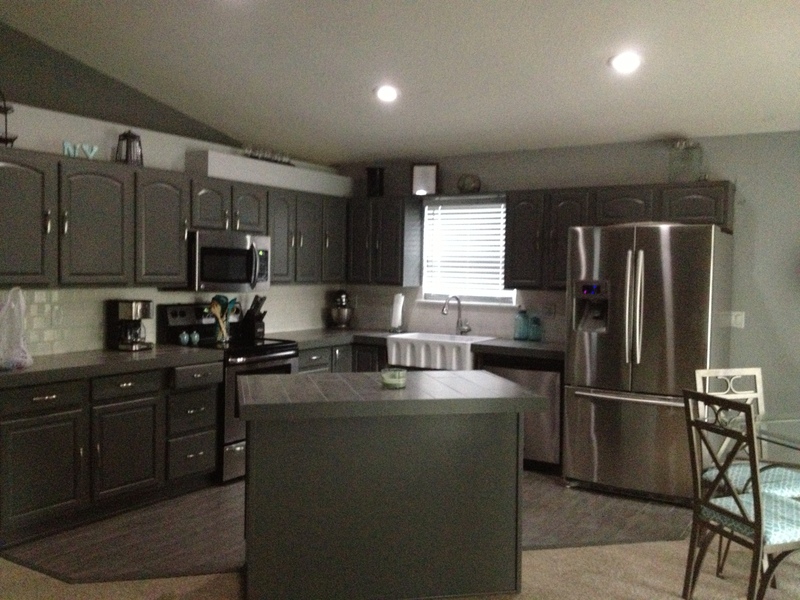 So, when we moved into our new home last May, we both knew a kitchen renovation would be on the list … but that list kept growing and growing considered we moved into a home that had been empty for two full years. PoppaNut painted every possible surface in this home, and power-washed everything else. We overhauled the landscaping, and we were finally ready for the next project: our downstairs bar area. 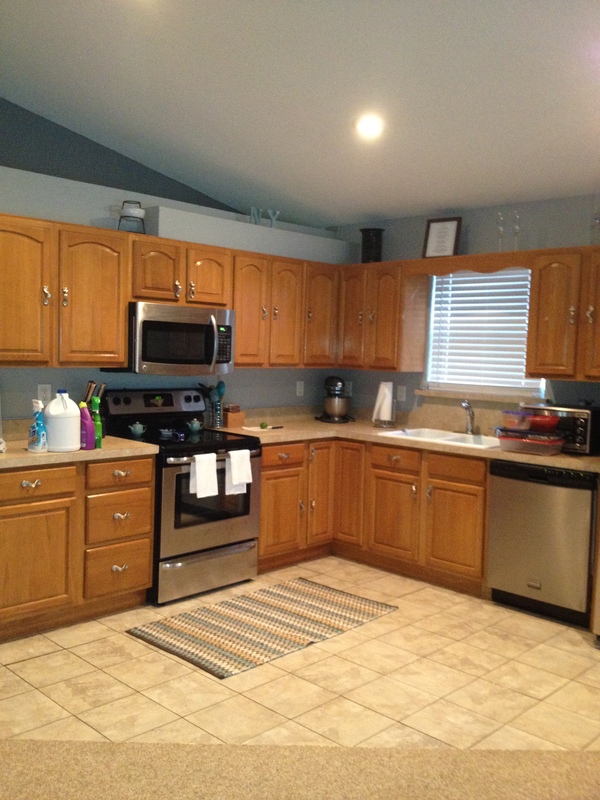 This was our kitchen just before the remodel. We only replaced the appliances when we moved in. 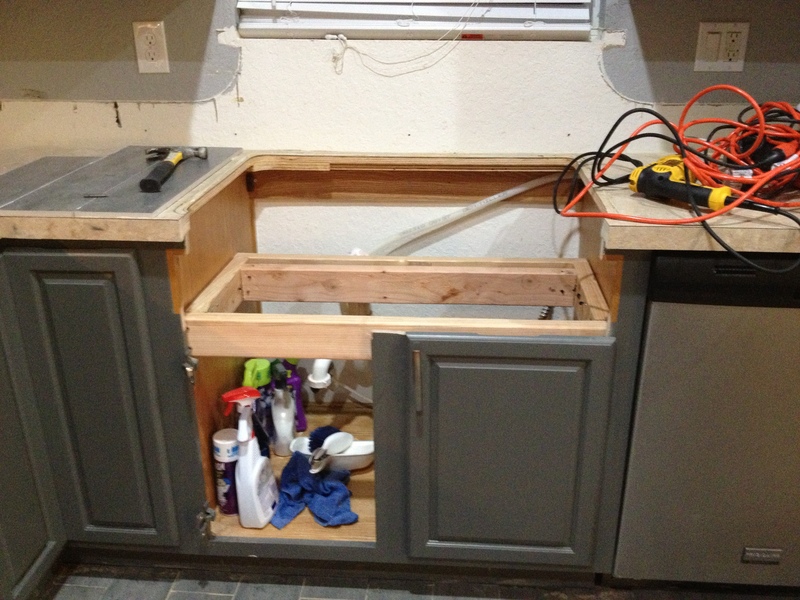 So, when my father-in-law came over, who also happens to be a residential/commercial home builder (Residential Design Corp), we began talking about the bar project … which somehow naturally lead to how much I hated our kitchen. And Dad agreed, saying how super easy and inexpensive it would be to remodel this area into our dream kitchen. Well, that’s all I needed to get started, and PoppaNut graciously set aside his bar dreams for mine, a sacrifice that still makes me tear up when I think about it. So, together, we picked out every element of this kitchen. And with a ton of full-weekend work sessions and several long late-night weekday projects (and a ton of help from Dad and our friend Brad), our dream kitchen came together. Let’s take a look. 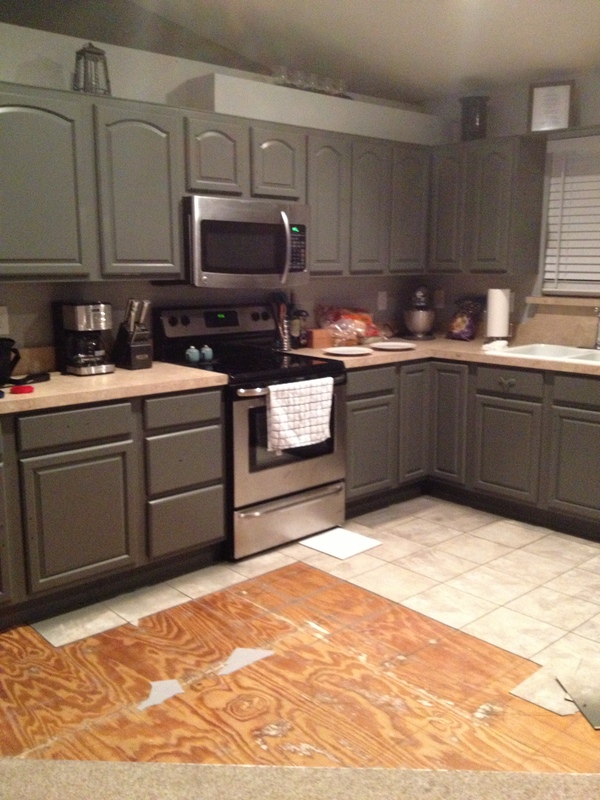 We started by priming the cabinets. The sticky tile had to go, so we could make way for the new floor. And the new floor is in! 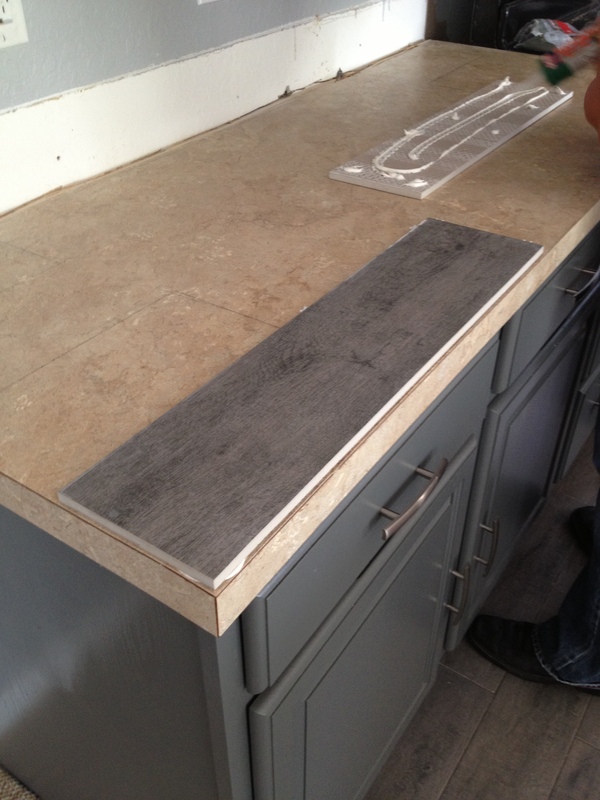 This tile actually looks like gray wood. 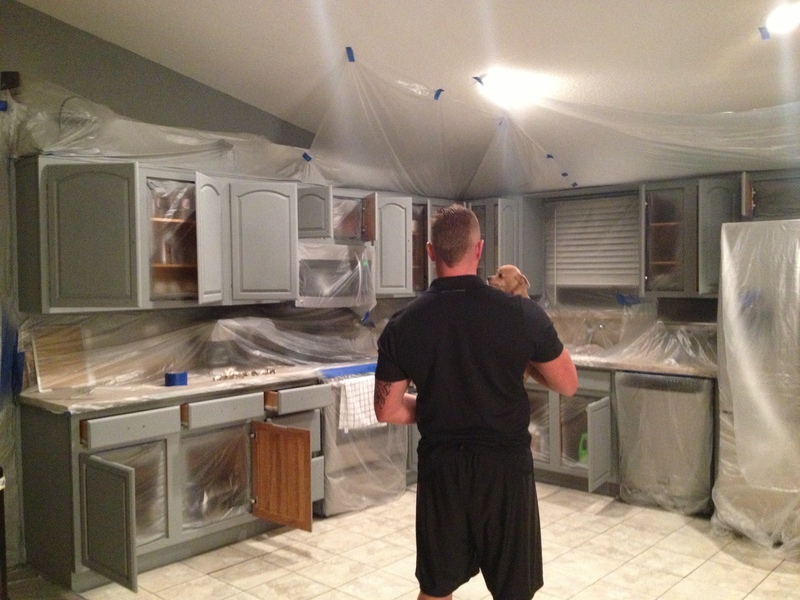 Next, it was time to cover those nasty countertops. And we used the same flooring tile for that! 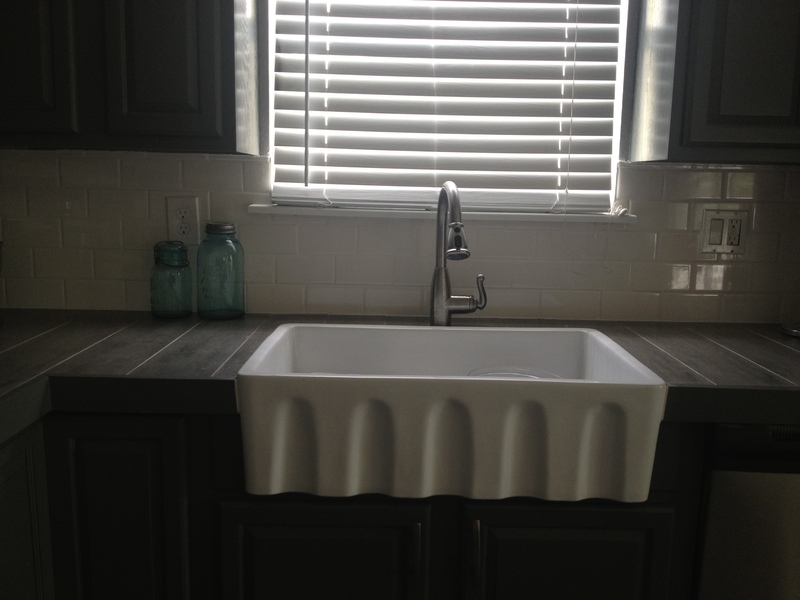 I’ve always had my heart set on a farmhouse sink, and again … my dream was coming true. This sink could serve as a home pool! It’s huge! 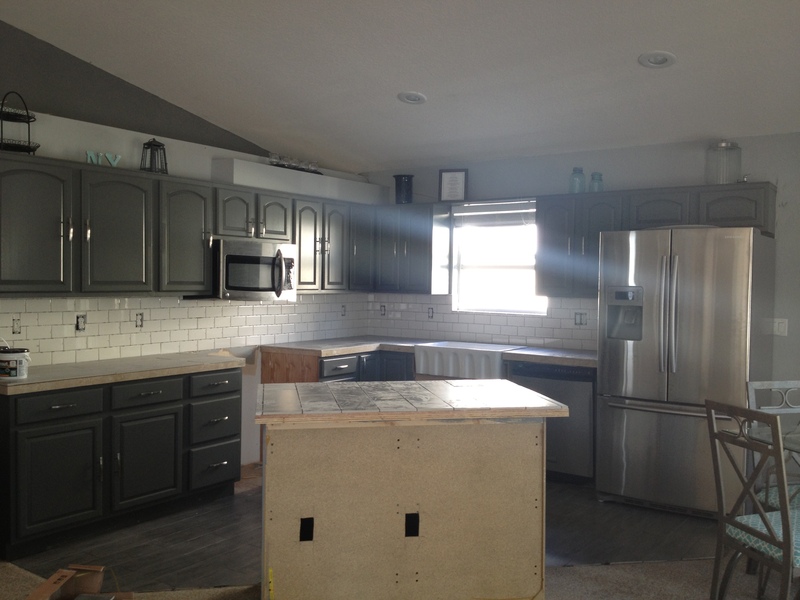 Once the white subway tile backsplash was in, we moved on to the island. 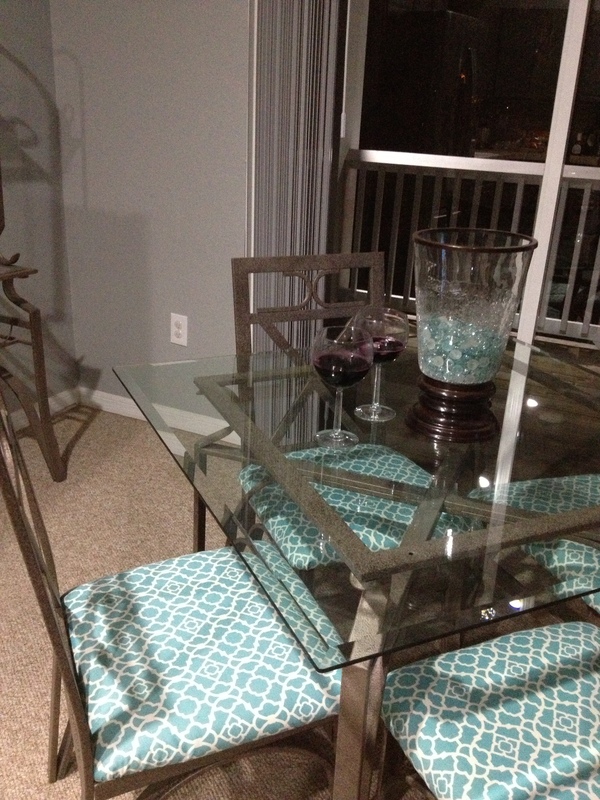 We couldn’t leave the nearby kitchen table untouched, so I recovered each chair in a bold blue fabric to accent the kitchen for just $20. And this is the “after” photo. This is the kitchen this home was meant to have. And that’s life in a nutshell. 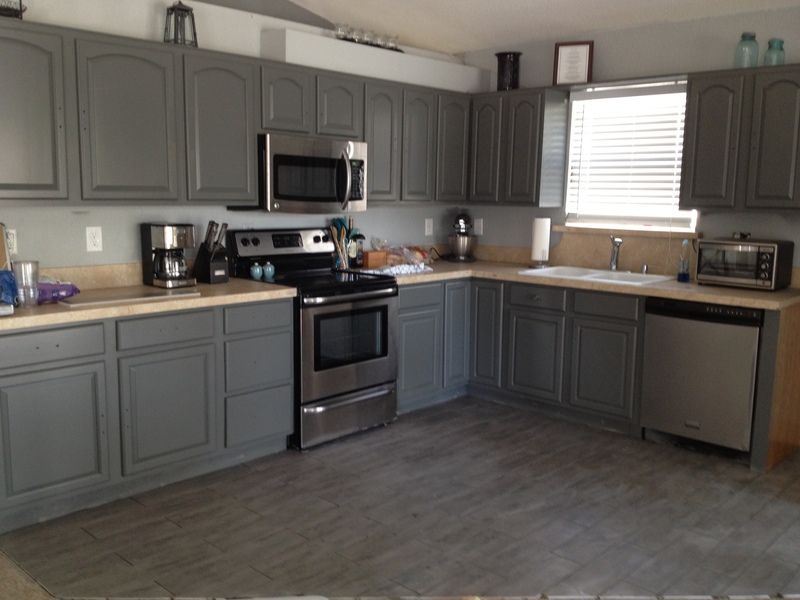 At the end of this kitchen renovation, I’m thrilled with this new space. It’s everything I pictured and I can’t wait to start using it for big and small occasions. But it means more to me than just a beautiful kitchen. It’s a renovation that PoppaNut put his heart and soul into just because he loves me and always wants to make my dreams come true, it’s a space where our friends and family will gather for years to come to celebrate exciting moments, it’s a warm heart to this home I’ll love forever.